Glad Lulu's getting down, love her blurry wagging tail in all the pics! 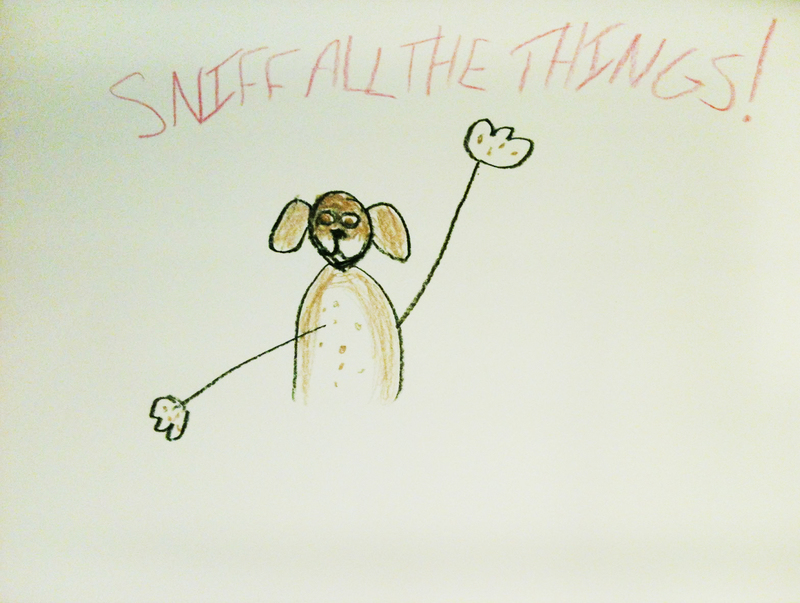 "Sniff all the things!" would make a great t-shirt; it seems to be Maggie & Duke's motto too. Oh yeah! I got an old iPhone... it's impossible to get her tail nonblurry. That thing never stops! 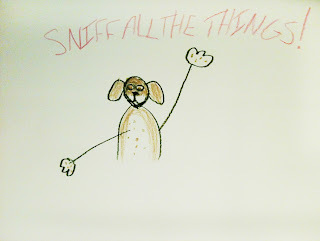 Love love love the Sniff All the Things drawing!